Yesterday without deliberate I came to an exhibition of the book, with the friend to try to look for the good book with the competitive price. I went around in circles all through the contents of the exhibition, not to mention this exhibition also in united with with the exhibition of the computer. Plenty of interesting laptops currently, all of them very small and interesting. Spoke interesting an appealing I a stand with many toys tradisonal, most of these toys were made from wood. Quite very simple, but many that had never been seen by me. Most of these toys relied on the attraction he sounded, with the wood base. 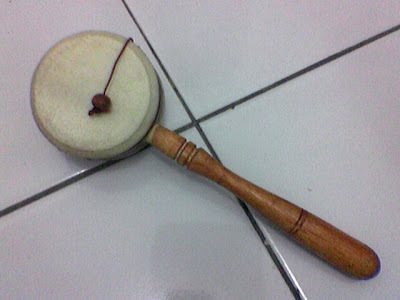 My heart was interested to two toys that one toy had the shape of the drum, with two hammers in left and in right. I must shake him to get he sounded, his drum foundation visible was made from wood. This reminded me when watching kung fu films during the period of small. 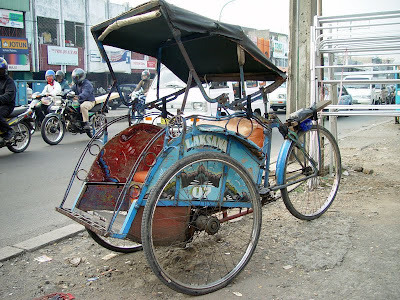 The other was a miniature of the pedicab (the vehicle tradisonal in Indonesia that in encouraged by humankind), still have material the foundation of wood and in the plastic package. 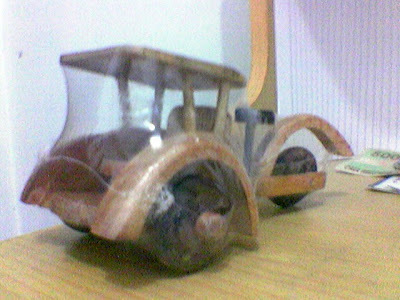 I in fact did not release his plastic so that later was not easy to be affected by dust, two toys for nostalgia costing 25 thousand rupiah. Love I whether why was not pushed to buy the toy tradisonal that was other, only two kinds that tempted the heart.